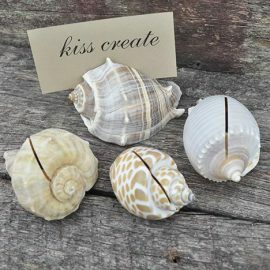 These unique place card holders can be used for any occasion. 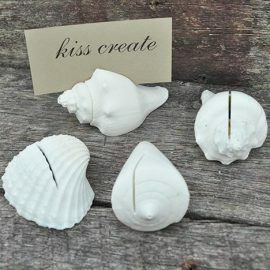 The shell is approximately 70mm, however, as these are a natural product, the place card may not sit exactly level and the shell size cannot be guaranteed. Hint: Clear craft glue can be used to fix the place card in position.